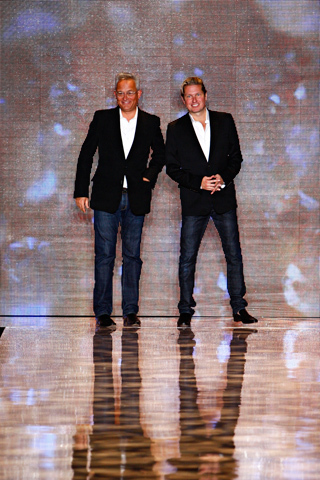 Mark Badgley and James Mischka, the geniuses behind the label Badgley Mischka, really know how to put on a show. Their regal gowns shine like diamonds on the runway. And, last I checked…those were still a girl’s best friend. I always love the dresses that they produce, but I particularly like this collection because it is less about delicate and flowy and more about color and shape. My cup runneth over for color. 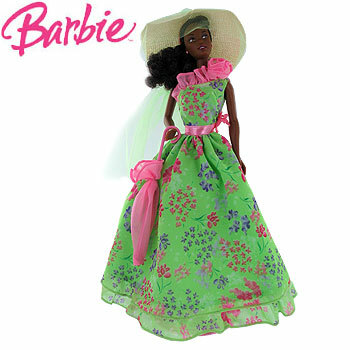 I think the dresses below have the ability to make any girl feel like a Barbie Doll! Everything about this is Barbie. 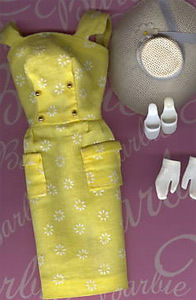 It is seriously a modern version of The Enchanted Evening Barbie. 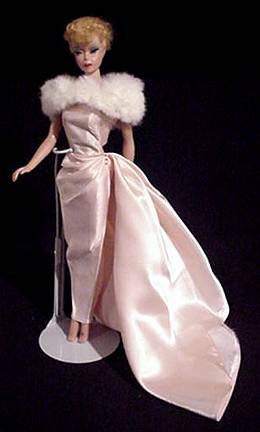 The Barbie Doll version...a bit too conservative. I prefer Badgley Mischka's. Mixture of metallic and turquoise is beautiful. The vintage version. I prefer the more simple metallic to this brocade - but the color combo is still nice. This dress just puts a smile on my face. I am curious to see which celebrity might be brave enough to wear it on a red carpet. I say - GO FOR IT! Barbie certainly went for it! 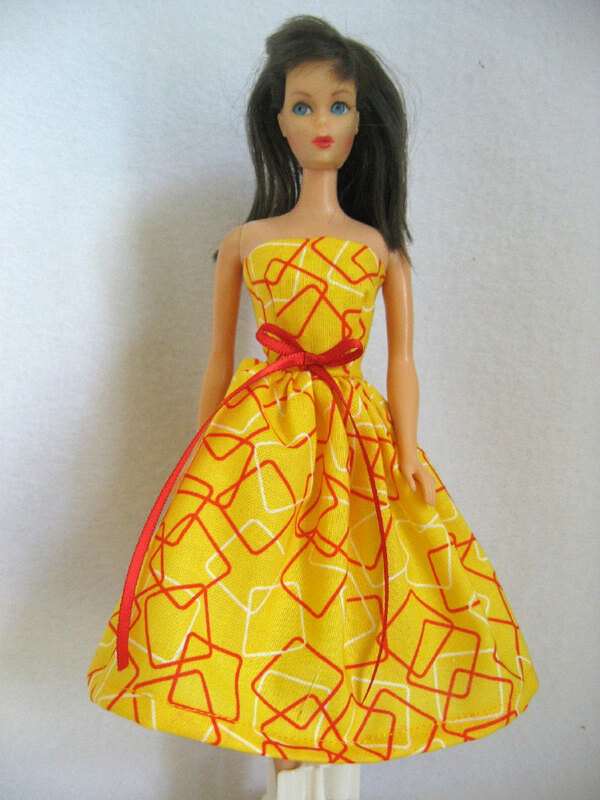 Clearly this is the early 1980's version of the dress! LOL! I love this post! This collection does scream Barbie through the years! 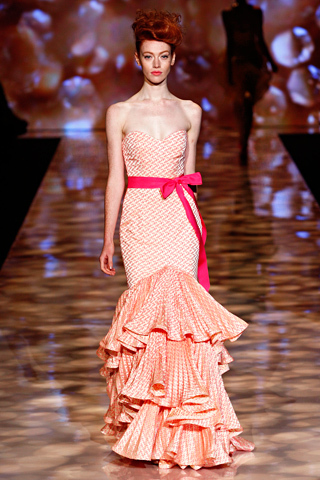 I want that orange (is it zigzag or houndstouth) mermaid dress it fantastic! If you love Barbie as much as I do have you seen these necklaces? http://www.rockandrollltd.com/Store/necklaces/luxe-18kt.-white-gold-silhouette-pendant-with-brilliant-diamonds/ The diamond ones are very popular with my friends in Los Angeles at the moment! They’re small and delicate I think they’re so cute!